"The ambience in the Dining Room was amazing with the fire burning, the candles lit and the music playing in the background. A beautiful setting – unforgettable!" 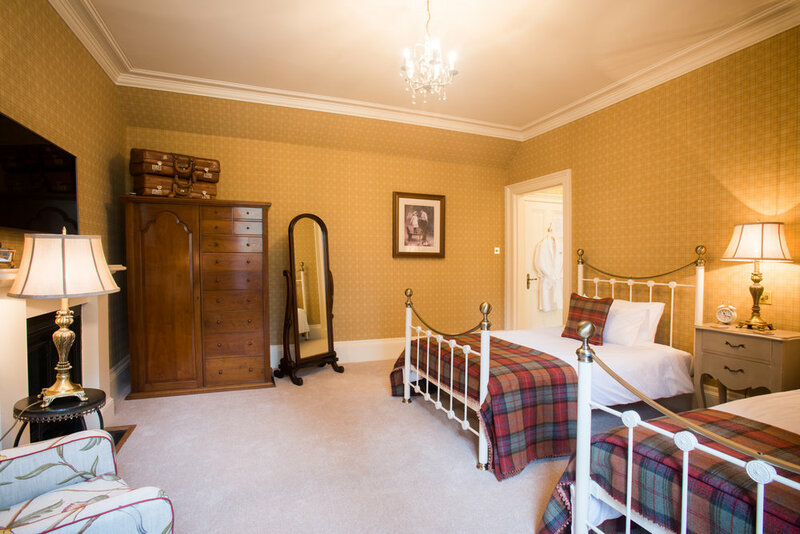 Having been recently refurbished from top to toe, Glentruim Castle offers a perfect blend of traditional highland living and luxurious home comforts. 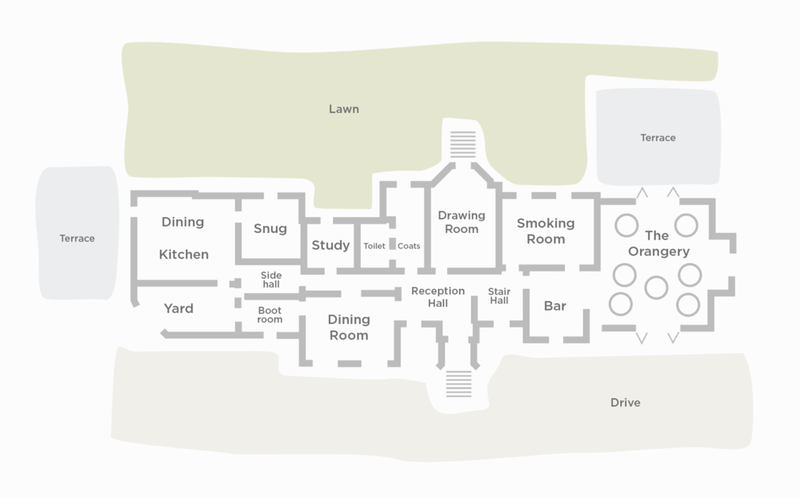 Under-floor heating runs throughout, which, coupled with its roaring open fires, blissfully comfortable beds and cosy living spaces, makes Glentruim a beacon of warmth: the ultimate home to come home to, in even the coldest of Scottish winters. Each of the eight bedrooms features in-room Wi-Fi, beauty essentials and hairdryers, while bathrooms are filled with the softest towels, sumptuous bath robes, and luxury products. 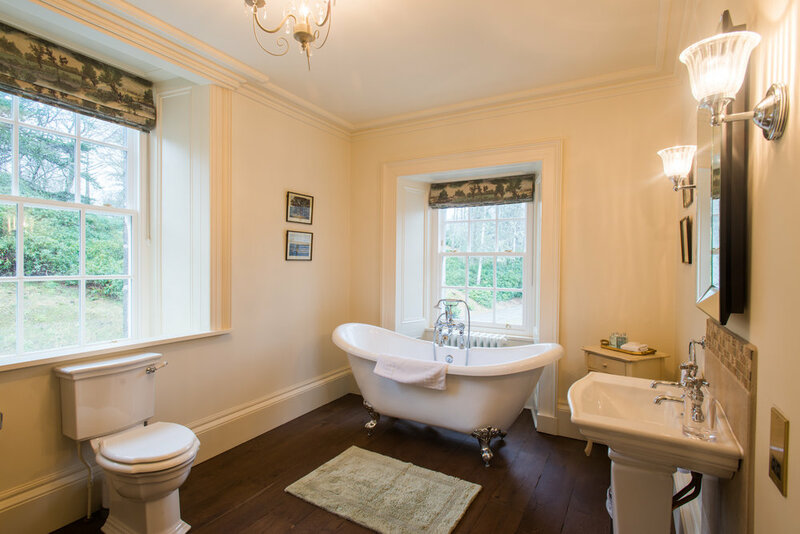 There are plenty of places to relax and entertain downstairs, from a formal dining room and drawing room, to an oak panelled smoking room and an extensive library of books and DVDs. The basement has been refurbished to include a state of the art home cinema and games room with Wii console, a gym and an indulgent spa where our team of therapists will attend to your every need, by appointment. There are also two home computers and speakers with iPad docking stations throughout. "The Castle has great character and history, very much beyond the ordinary! We were treated extremely well and did feel "To the manor born!"